When it comes to the history of sculptures and a pensive figure, we as enthusiasts have reveries of ‘The Thinker’ (Le Penseur), the male figure of over life-size with his particularly ‘thinking’ posture, originally commissioned in 1880. 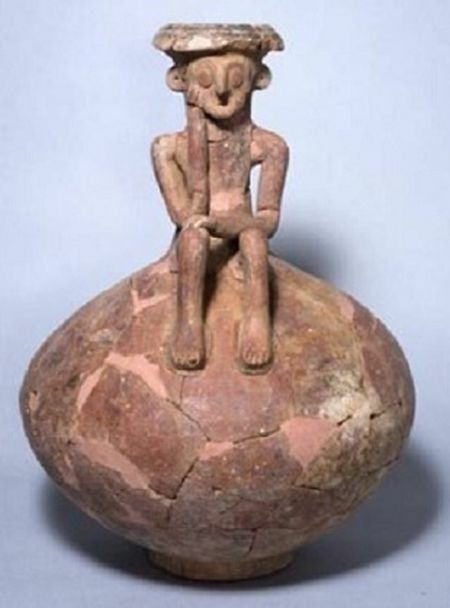 But as it turns out, Middle Bronze Age craftsmen residing in what is now Israel, already made a ‘thinker’ version of their own, in the form of a pottery jug dating from a period 3,800-years ago. The fascinating vessel is around 18 cm high (7-inches), and was actually found by archaeology pupils under the wing of Land of Israel and Archaeology matriculation stream, in the city of Yehud. 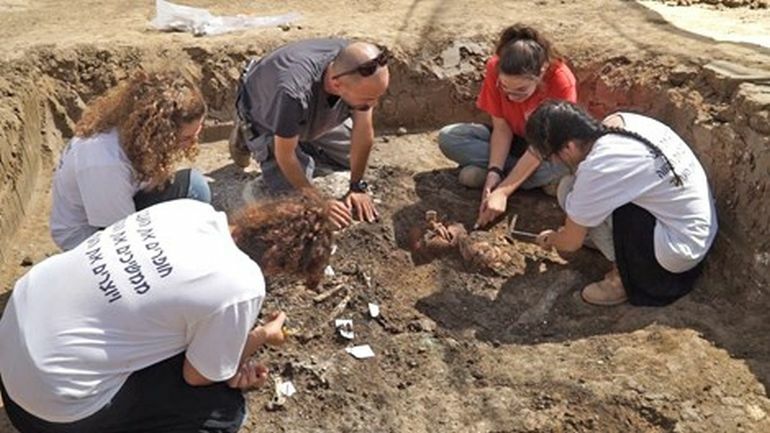 The discovery, made in the last day of excavation, was quite fortuitous, since the archaeological project was carried out as a mandatory exercise before the commencement of a residential complex in the area. 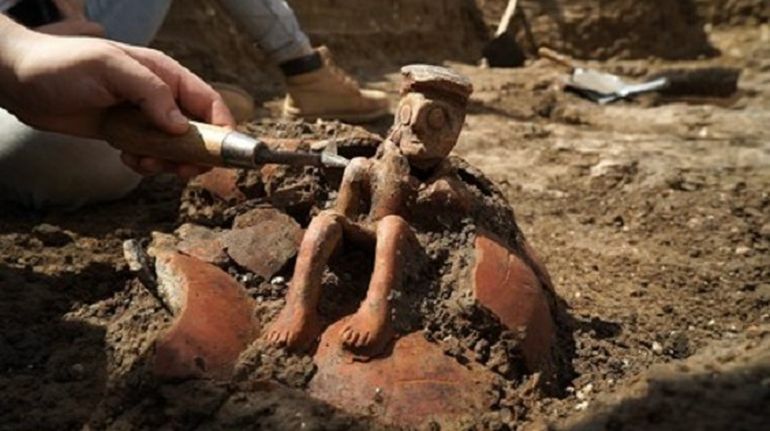 It literally happened on the last day of the excavation when right in front of our eyes and those of the excited students an unusual ceramic vessel c. 18 cm high was exposed that bears the image of a person. It seems that at first the jug, which is typical of the period, was prepared, and afterwards the unique sculpture was added, the likes of which have never before been discovered in previous research. 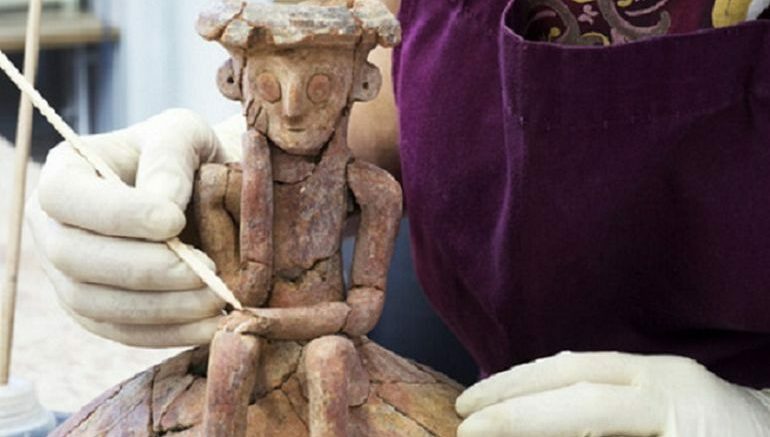 The level of precision and attention to detail in creating this almost 4,000 year old sculpture is extremely impressive. 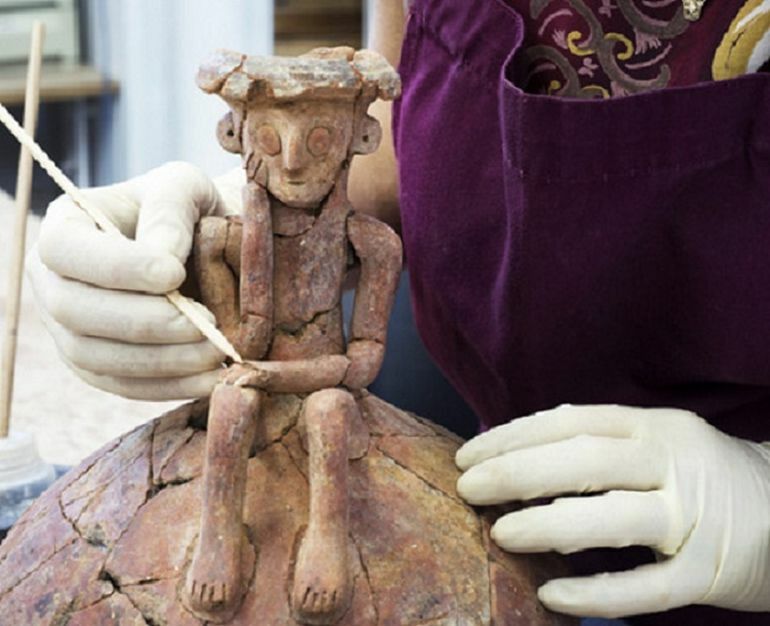 The neck of the jug served as a base for forming the upper portion of the figure, after which the arms, legs and a face were added to the sculpture. One can see that the face of the figure seems to be resting on its hand as if in a state of reflection. It is unclear if the figure was made by the potter who prepared the jug or by another craftsman. 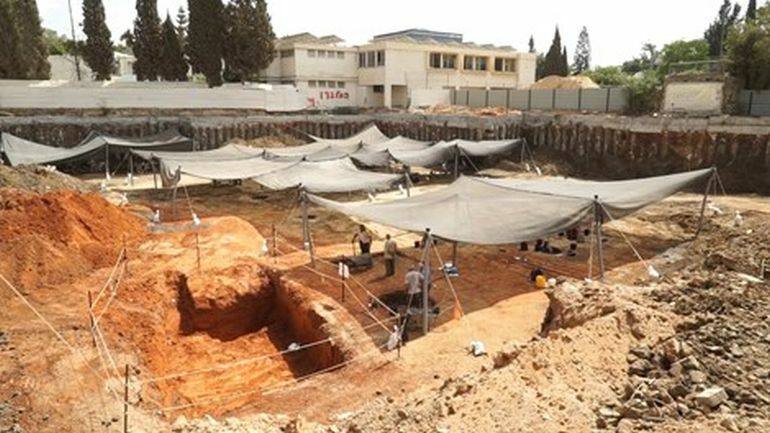 Now as for the scope of the discovery, the researchers also found other ancient objects, including arrowheads, an ax head, sheep bones, daggers and possibly even donkey bones. Judging by the assemblage, most of these items were probably part of a funerary burial. In essence, they were offerings buried in honor of the deceased (who was an important member of the community), in the belief that the person would ‘inherit’ all these objects in his afterlife; thus mirroring the ancient Near-Eastern and Egyptian religious convictions. Interestingly enough, deeper level excavation had also revealed objects that are at least 6,000 years old. Stuffed inside an arrangement of pits and shafts, the items ranged from pottery vessel fragments, flint and basalt implements, animal bones, and a unique butter churn widely used in the Chalcolithic period. As for the historical side of affairs, the incredible ‘thinker’ pottery pertains to a period circa 18th-20th century BC. This was the epoch when parts of Mesopotamia and Syria were settled by the Amorites, an ancient Semitic-speaking people who established various city-states in the region. They might have even controlled a large chunk of the trade route the connected the coastal regions of Levant with Egypt. Suddenly I saw many archaeologists and important people arriving who were examining and admiring something that was uncovered in the ground. They immediately called all of us to look at the amazing statuette and explained to us that this is an extremely rare discovery and one that is not encountered every day. It is exciting to be part of an excavation whose artifacts will be displayed in the museum.